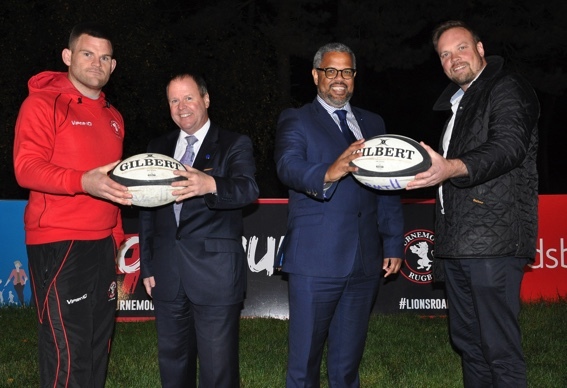 Dorset’s Douch Family Funeral Directors has increased its links with the local sporting community by packing down as a partner of Bournemouth Rugby. The funeral group, with eight branches across the county, will have its name on hoardings at the Chapel Gate ground where the Lions play home games. With the club riding high in the South West Premier League and regularly attracting crowds of almost 1,000, its partners are receiving ever-increasing exposure. Douch Family Funeral Directors, which also runs the award winning Dorset Funeral Plan, sponsors cricket leagues, bowls clubs and athletes. It decided to partner with the region’s most successful rugby club because they have similar values and are dedicated to community engagement. Both institutions also have long-standing links with the community; Bournemouth Rugby is celebrating its 125th anniversary this year; some of the Douch Family Funeral Directors’ branches go back even further. Nick Douch, who heads the funeral group and is also a former professional rugby league player, said: “Bournemouth Rugby has a similar outlook to ourselves. “The people are focused on engaging with the community and bringing people together. James Croker, CEO of Bournemouth Rugby, said: “We now have nearly 100 partners from the local business community and are delighted to welcome Nick Douch and his staff. “We are trying to change the narrative about how people think of local sport and are encouraging more people to come to the club and become part of it. Douch Family Funeral Directors has branches in Wimborne, Parkstone, Upton, Wareham, Swanage, Blandford, Ferndown and Corfe Mullen.